Meriwther is designer Amy Gibson of Stichery Dickory Dock’s first collection with Windham Fabrics. This bright, floral fabric is perfect for making unique, modern quilt blocks using Amy’s book, The Quilt Block Cookbook. Amy’s secret to all that she does? She isn’t sure, but suspects it probably lies somewhere between an incredibly supportive husband, faith, and good coffee. Need Fat Quarters? All fabrics are available as fat quarters for 3.00. Convo me! 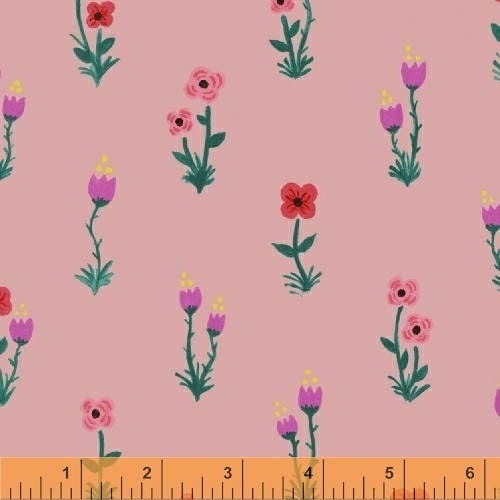 This listing is per yard- multiple yards of fabric will be cut in one continuous length. Convo me for partial yard orders.